A gift to Heart and Soul today will go twice as far if we get to our goal. Help Heart & Soul! 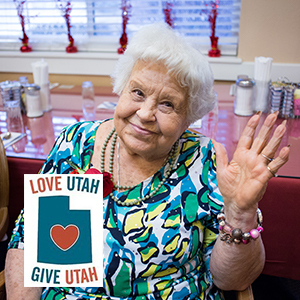 We need your help to raise $5,000 for #LoveUTGiveUT today. If we can get to our goal today then your gift will go twice as far. Heart & Soul heals the human spirit by bringing music and performing arts to isolated people. We have partnered with LoveUTgiveUT in order to continue our mission. Heart & Soul serves the elderly in nursing homes, assisted living and memory and day care facilities, children at the YWCA and Salt Lake County group homes, adults with mental health issues at the U of U Hospital and Alliance House, people that cannot see at Club Vision, and other isolated groups in over 150 institutions along the Wasatch Front and Wasatch Back. Heart & Soul served over 25,000 individuals throughout 2016 who have limited access to the arts. Heart & Soul is a leader in delivering live music daily to those that need it most. As a friend of Heart & Soul, you make the difference. Your gift today will help bring the healing power of music to those in need.